The Integrated Reversing Chronic Pain Program is a 10-step integrated approach that can bring success with ANY kind of pain, even yours. For more information click here. The Reversing Chronic Pain online program features the most powerful tools I've found in more than 30 years of experience in working with various kinds of emotional and physical pain. Adding a library of video and audio aids, many individuals have found unique ways to handle their pain. Most satisfying to me is hearing how the program has brought renewed hope to many who thought they had tried everything in dealing with their pain. The Pain Coaching Success Program includes one-hour coaching sessions highlighting one of the 10 skills from the Reversing Chronic Pain online self-learning program and provides valuable tips for how to put what you are learning into practice. Choose from the 10-Step Online Program, the Pain Coaching for Success 10 CD Set, or Both! Both the Online Program and the CD Set! Maggie Phillips' newest book, Reversing Chronic Pain, has been the #1 bestseller among books on mind and body health on Amazon.com. 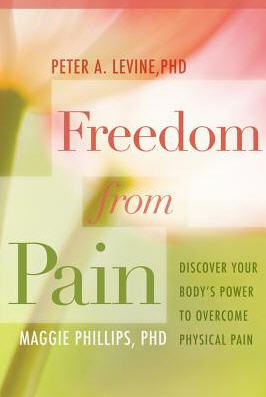 Each chapter presents a body-centered skill set to reverse chronic and persistent pain. The resulting interlinked somatic building blocks help readers shift from physical pain to body awareness, and from unstoppable suffering to heartfelt connection and peace. In Finding the Energy to Heal, Maggie Phillips demonstrates that we all have the ability to heal. This capacity exists within us in the form of energy which, when channeled effectively, can free us from mind-body health problems. Based on the exciting new fields of energy medicine and energy psychology, this book explains the relationship between mind and body and the latest methods of working with healing energies. This 4-CD audio program by Maggie Phillips, Hypnosis: The Pain Solution, offers a no nonsense approach to pain management. Designed for people who are not responding to typical pain interventions, this program will provide you with a thorough understanding of how pain works, and comprehensive tools to overcome it.